MTN offers a plethora of call plans with interesting perks and data benefits. We reviewed the best MTN call plans to enable you to choose the right call plan for your needs. If you are looking for MTN call plans to enjoy both voice call and data benefits, MTN XtraValue is the right choice. Depending on what you want, you can choose XtraTalk or XtraData. Different price points are available for each of these options, up to N20,000. You should choose XtraTalk bundle if you need more voice calls than data and XtraData if you need more data than voice calls. The price points range from N300 to N20,000. N300 price points are represented by XS, N500 by S, N1,000 by M, N2,000 by L, and so forth up to N20,000 (XXXXL). For XS, XtraTalk offers voice value of N1,000 and data value of 50MB valid for 7 days. XtraData offers voice value of N380 and data value of 150MB valid for 7 days. Other bundles are very similar. To subscribe to any XtraTalk bundle, text V (for voice) + (the amount) to 131. In other words, to subscribe to XXXXL (N20,000) bundle, text V20000 to 131. For XXXL (15,000), text V15000 to 131. For XtraData, text D (for data) + (the amount) and then 131. That is, D20000 to 131 for XXXXL and D15000 for XXXL. You can also subscribe by dialing *131*2# and choose your preferred bundle. If you are really looking for an MTN tariff plan for huge data bonus, MTN AWUF4U may not be a perfect choice. But its huge call bonuses are enticing. AWUF4U awards you a whopping 200% bonus on every recharge below N100. 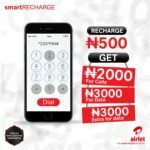 On recharge above N100, the tariff plan offers 300% bonus. To activate the AWUF4U bonus, you only need to recharge your line using a special code (*888*PIN#). You can also get the AWUF4U bonus through VTU. The validity for AWUF4U bonuses vary. Bonuses for recharge below N201 are valid for 14 days and bonuses for recharge above N200 are valid for 30 days. MTN Pulse needs no introduction. 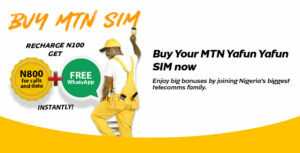 It is one of the best MTN call plans that allow subscribers to make calls at 11kobo/second to all networks in Nigeria. To enjoy this benefit, Pulse subscribers would have spent up to N11 daily. MTN Night browsing at N25 per day. Subscribers are rewarded with 100% data bonus when they purchase 500MB weekly data bundle (MTN 1 GB for N500!). Data bonus on first recharge each week. 10MB on N100 recharge, 20MB on N200 recharge. 11kobo/second flat call rate on spending N11 per day. You can migrate to MTN Pulse by texting 406 to 131 or dialing *406*1#. You can enjoy a whopping 700% on your recharge of N100 and above with MTN YafunYafun tariff plan. The call tariff plan also offers you weekly free access to WhatsApp. This benefit is only available for new MTN SIM and you can activate it by dialing *555*PIN# on recharge of N100 and above. You can check the bonus by dialing *559*43#. After 3 months, subscribers will stop receiving the 700% bonus and MTN will migrate them automatically to the BetaTalk plan. The BetaTalk call plan rewards subscribers with 250% bonus when they recharge N100 and above. However, BetaTalk call rate is a bit high. Customers are charged 42k/sec from their main account and 45k/sec from their bonus account. You can subscribe to this plan by dialing *123*2*1# or texting BT to 131. 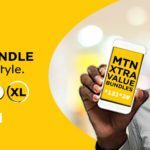 An overview of the MTN call plans shows that MTN Xtra Value and MTN Pulse are the two best call plans for you if you want to enjoy huge data benefits. With the Xtra Value XtraData option, you can enjoy huge data benefits and with Pulse, you can enjoy bonuses such as 10MB or 20 on the first recharge per week, night browsing and so forth.